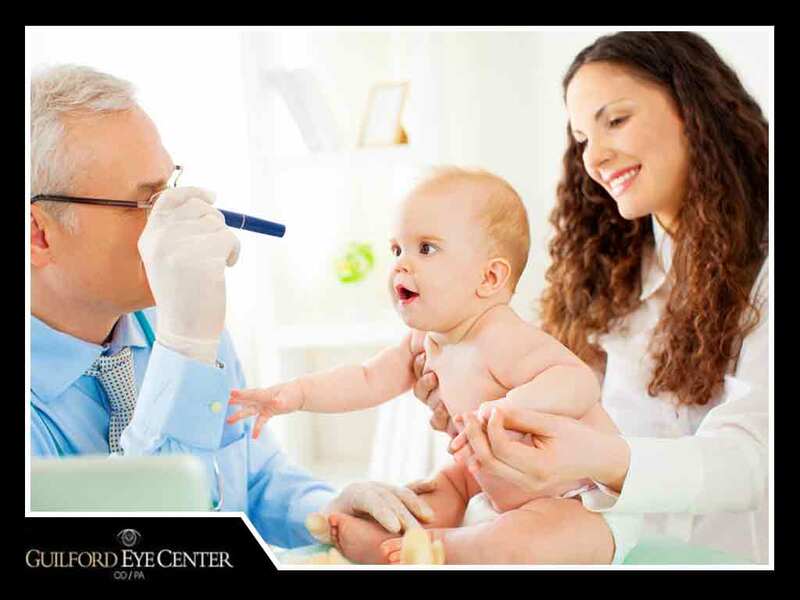 Patient History – Your eye doctor will ask you to fill out a questionnaire to determine your child’s patient history. You can expect questions about the child’s general and vision development, the birth of the child and the mother’s pregnancy. They will also study your family eye and medical histories. Visual Acuity – The assessment of visual acuity for toddlers and infants can include fixation preference tests and a preferential looking visual acuity test. This step can help confirm or eliminate certain hypotheses about your child’s level of binocularity and can provide a direction for the rest of the eye exam. Refraction – The traditional subjective procedures for the assessment of refractive error can be ineffective for infants because of their poor fixation and short attention span. The eye doctor and eyeglasses expert will rely on objective measures of refraction, such as cycloplegic retinoscopy and near retinoscopy. Binocular Vision and Ocular Motility – There are several useful procedures for assessing binocular function in infants, including a cover test, Krimsky test, Hirschberg test, near point of convergence, Brückner test and different versions of these tests. The cover test is the procedure of choice because it is objective and quick. Ocular Health Assessment and Systemic Health Screening – This step may involve an assessment of pupillary responses, visual field screening, an evaluation of the ocular anterior segment and adnexa, and an evaluation of the ocular posterior segment. The diagnosis of eye disease in infants can be difficult so the examiner needs to get as much information as possible by gross inspection of the adnexa and eyes. Assessment and Diagnosis – The optometrist will assess and evaluate the data collected from the tests to arrive at a diagnosis and to establish a management plan. In some cases, the optometrist may refer the patient to another optometrist or health care provider. You can rely on Guilford Eye Center for all of your eye exam needs. We specialize in family eye care, and our doctors and staff can perform comprehensive ophthalmologic evaluations to assess your family’s vision status and eye health. Call us at (336) 387-6777 to learn more about our services. We serve patients in Greensboro, NC, and nearby areas.